Cancer is like a curse on modern human society, and its dark hand seems to reach out and touch us completely at random, and completely without warning. Do you realise that drinking too much alcohol causes an elevated risk of cancer? 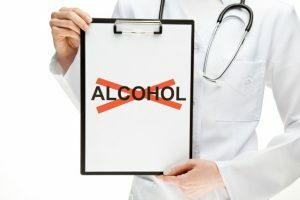 Alcohol and cancer have connections. We all know someone who has been affected by cancer. We all have family members who have been struck down. And we all live in fear of the dreaded illness. And we are quite correct to be afraid of being struck down ourselves. Because unlike the warnings we see and hear about what we should or should not do to keep ourselves safe, there seems to be nothing we can do to prevent the seemingly random nature of being cursed with a cancer diagnosis. Is there something we can do to avoid cancer? The more we learn about prevention of cancer causing triggers, and the more we learn that our decisions and our lifestyle choices, medical advice is suggesting that perhaps we have more influence over our individual circumstances that we first realized. A growing body of medical science and research is developing evidence that our lifestyle choices are linked to the onset of diseases such as diabetes, heart disease, and the big one – cancer. There is increasing evidence that more than 50% of the onset of life threatening diseases such as cancer are due to poor lifestyle choices, such as drinking too much alcohol, lack of physical exercise, and diet high in fat and processed food. All of these risk factors are high on the list of poor lifestyle choices and yet are extremely avoidable, if we can develop the discipline to make some changes to our lifestyle habits. Over the previous couple of decades, we have seen the both the rise and decline of heart disease as the number one killer of middle aged and overweight people. The risk of early death has largely been overcome by widespread dissemination of preventative medicinal solutions, which have been largely effective at controlling the sudden onset of cardiac arrest in those at high risk. Note the point here is that the symptoms of heart disease have largely been addressed by medication, but the causes of the problem remain. So the perception among those at high risk of heart disease is that the problem is no longer of grave concern, and hence the prevention of obesity has largely gone untouched. In fact, most people seem to perceive that there is no longer anything to be concerned with, since the problem can be easily controlled and prevented. But we are still scared of Cancer! No matter what people perceive about heart disease, most people are still scared of getting diagnosed with cancer. Because unlike other deadly conditions, cancer seems to be random in where, when and whom it strikes. However, medical evidence is beginning to mount up that the incidence of many types of cancer may be avoidable, if we consider the effects of our lifestyle choices. Certainly there are many types of cancer that can strike completely at random, whose effects can be devastating and with very rapid and detrimental outcomes for the sufferer. For example, melanoma can strike at nearly any age, and any demographic, and over which we have little control. On the other hand, there are many more types of cancers, and most preventable cancers that have been increasingly found to be correlated quite closely to factors that we certainly do have control over. And this should come as a revelation to everyone who cares about their health, those who are afraid of cancer, and those who want to know how to avoid cancer naturally. And this is where alcohol and cancer comes into play. As evidence steadily mounts that many forms of cancer can be avoidable, people have been less willing to embrace these findings. And the most obvious reason has to be that lifestyle choices have been thrust firmly into the spotlight. 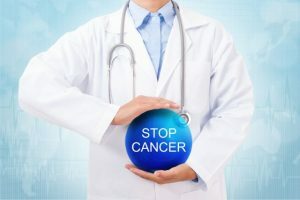 Rather than a simple preventative medication, which has been the magic bullet up till now, people are reluctant to acknowledge that some forms of cancer may be induced by the consequences of their own actions. Advances in medical science have prevented the increased risk of early death due to lifestyle choices up till now. But no longer can we sit back and rely on medical intervention to save us from poor choices. Many cancers are largely preventable, and something that is largely preventable by individual lifestyle choices. So is Cancer preventable? Yes! Avoid alcohol and you can avoid cancer – this may be as simple as don’t drink alcohol every day. Better still, don’t drink alcohol at all, because alcohol and cancer are connected. And we all know that smoking has been identified as the single biggest contributor to lung cancer. And we know that drinking too much alcohol can cause cancers. This includes cancers of the mouth, larynx, esophagus, several of the internal organs, as well as breast cancer in women. Is Cancer preventable? The evidence is yes! We know to avoid smoking and avoid sun damage to stay healthy. And we now know to avoid alcohol and cancer risk for you should be reduced. If you want to reduce your chances of getting cancer, don’t drink alcohol every day. What are the high risk areas for cancer? So is Cancer preventable? There are four very obvious contributors to the causal factors above, and they are smoking, drinking, obesity and sedentary lifestyle. The evidence is clear, with very little doubt. There is a direct correlation between the lifestyle choices we make, and the incidence of life threatening illness. The statistics are a little difficult to draw exact numbers from. However, it is possible that more than 25% of the incidences of cancers are totally avoidable. Most noteworthy, this is simply by making healthier lifestyle choices. That is an incredible statistic for a life threatening disease most of us are scared of. Furthermore, that we believe we have no control over. In fact we do have control over simple choices such as – don’t drink alcohol every day!